Bogdan Enache is a former Bucharest journalist. In Romania, the post-communist transition has consisted of a David and Goliath battle between the former privileged strata of the old regime, allied with the economically vulnerable former working class and the poorly educated agrarian population, and a more educated urban population consisting mainly of young people, teachers and people from other professions resembling a middle class. After the improvised execution of Nicolae Ceaușescu, the last Romanian communist leader, the former political elite of the communist regime firmly re-entrenched itself in the state institutions and started the slow process of constructing a viable post-communist regime. But unlike the negotiated transitions in Poland or the Czech Republic, it did this almost completely on its own terms. Former communist bureaucrats and managers of state enterprises began privatising the economy, but they never mentally abandoned the discretionary control and the propagandistic ability to play on people’s fears inherited from the former regime, thus giving birth to a political system of widespread patronage, corruption and abuse. The opposition to this “original democracy” – a label used by the post-communist leader and founder of the current Social Democratic Party (PSD), Ion Iliescu, who quickly became an object of derision among intellectuals and students – was from the beginning extremely vocal, but politically weak, fractious and inexperienced. In the 1990s there were a string of anti-government public protests, marches and sit-ins, sometimes followed by counter-marches and even outright crackdowns originated by government forces (the unfortunately famous “mineriade”). Even when the opposition to the “neo-communist” establishment, as Iliescu’s Social Democrats and allies were known, first came to power, in 1996, it only managed to do so in alliance with a more reformist wing of the National Salvation Front – the big party created by Iliescu right after the December 1989 bloodshed in order to “keep the country in peace”, as he put it – and various other political factions led by newly created businessmen – including the head of the junior liberal-reformist ALDE party in the current Social Democratic-led government, Călin Popescu-Tăriceanu – that took their share from the spoils of the capitalist system of post-communist democracy. Hence the importance of the anti-corruption message in the present protests against two government emergency ordinances intent on relaxing several provisions against graft in the Penal Code and on giving amnesty to people already imprisoned for corruption. It is the unifying rallying cry against all the ills, both past and present, of the “original democracy” and its crony capitalism, as well as the only serious breakthrough those who opposed Iliescu’s post-communist regime have achieved in last decade and can hope to achieve or at least maintain in the immediate future. The political opposition to the new government is in shambles, resembling the political disaster after the Romanian Democratic Convention coalition government ended in 2000. It lacks leadership, vision and unity. So, in the David and Goliath battle between the mighty Social Democratic Party and its formal and informal allies, the grassroots public protests once more compensate the opposition’s political weakness. Although many people that are protesting today in the streets of Romanian cities are in fact the children of those who took part in the street protests of the 1990s, whose memory and even slogans are proudly – even though somewhat informally – conserved in various university, student, intellectual and artistic communities, it is true that participation has grown beyond what could have been imagined in those earlier years. Clearly, Romanian society has changed significantly since then. Many commentators have focused their attention on the role new technologies, such as the internet and mobile phones, can play in disseminating information and fostering grassroots protest movements, but its explanatory power is weak and lagging behind other forces. To be clear, in 1990 and the first part of the decade the Social Democrats’ government had almost a monopoly on mass-information through the control of the National TV and Radio Broadcasting Company and the diversification of the mass media market in the following years has played a role in changing attitudes, even though some of the new television networks were connected to crony businessmen and political figures and thus more biased than National TV. However, the fundamental difference between then and now is that – just as a famous former communist official and post-communist political commentator, Silviu Brucan, had ironically predicted on the basis of a sort of reversed Marxism that seems to have tacitly guided the thinking of the nerdier representatives of the former communist bureaucracy – the market economy has changed the country’s social structure. In the 1990s, the Romanian public sector was large and inefficient while the private sector was in its infancy. The economy was dominated by large enterprises with industrial-era working conditions and culture. Entire counties and even regions were close to mono-industrial, and thus a large proportion of the population was dependent on government support and leniency. The workers’ unions did protest, but strike protests rarely spilled over to cover topics other than wages, retirement plans and working conditions. Today, the private sector is much larger than the public sector and industry’s share has subsided in favour of value-added services. This new private and services-based economy has spread geographically and sociologically the “middle class” values and behaviours associated in the early 1990s with a strata of mainly teachers, medical practitioners, artists and other so-called liberal professions, who could afford a degree of independence and civic engagement even within the confines of the public sector. Their concern in democratising, (re)Europeanising or westernising and better governing the country has reached a wider following. For the moment, the grassroots public protests against the intentions of the new Social-Democratic government to restrain the fight against corruption, quite impressively pursued in the last decade since Romania joined the EU by the judiciary, seem to have born some fruit. At least in part, because confusion and uncertainty surrounding the issue persists. After five days of protests in all the major cities across the country, Prime Minister Sorin Grindeanu announced that the government will abandon the emergency ordinance modifying the Penal Code, which was supposed to enter into effect in another five days, in a special cabinet meeting held on Sunday (5 February). However, the government and the governing coalition still intend to turn the bill into law through the ordinary parliamentary process. 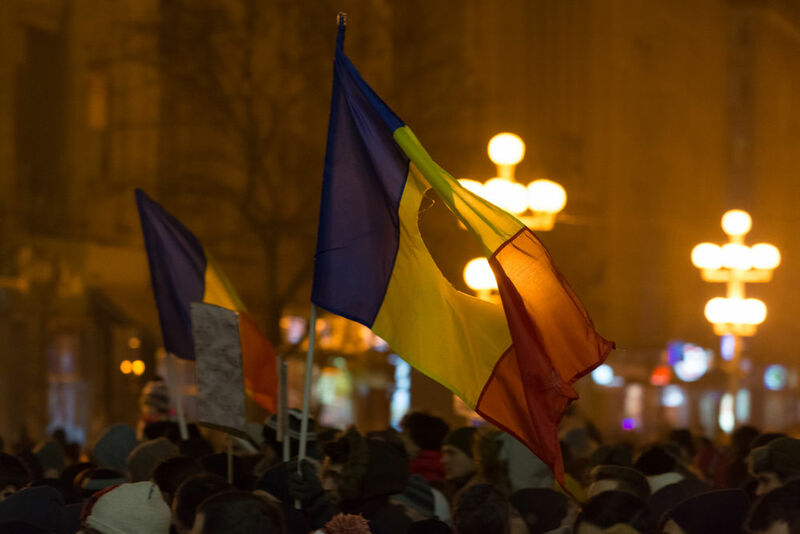 No news so far regarding the fate of the other emergency ordinance, which basically gives amnesty to all individual sentenced for as much as a five-year term in prison – precisely the medium length punishment in trials for graft in Romania.